Over two-hundred high school students attended the University of Sydney’s 2019 Bioengineering Innovation Outreach Challenge and were asked to identify innovative solutions to some of the world’s most complex medical challenges. The Mereweather High School team was awarded the Scientific Excellence prize in recognition for having developed a solution for administering multiple different medications intravenously without using needles or pills. Hosted by the Australian Research Council Training Centre for Innovative Bioengineering, the innovation challenge featured talks by Dr Karl Kruszelnicki, Cochlear’s Head of Global Clinical Affairs Dr Mary Beth Brinson, and the Sydney Nano Institute’s Professor Benjamin Eggleton. The students were mentored by experts working in academia and the biomedical industry, which included the University of Sydney’s Professor Hala Zreiqat, event coordinator and chair Yohaann Ghosh, and a multidisciplinary team of undergraduate students and research fellows. The mentors helped students develop innovative solutions for problems such as food allergy anaphylaxis, chemotherapy-induced alopecia and even eczema. Speaking at the challenge was University of Sydney Vice-Chancellor Dr Michael Spence, who remarked on the students’ inventive approaches to complex issues facing health and medicine, “This is a tremendous programme, and such a great showcase to the imagination, collaboration and excellence of the student participants. Students from Mereweather High School said transdermal patches would make administering medication more practical for people who struggle with both oral and traditional intravenous medications. 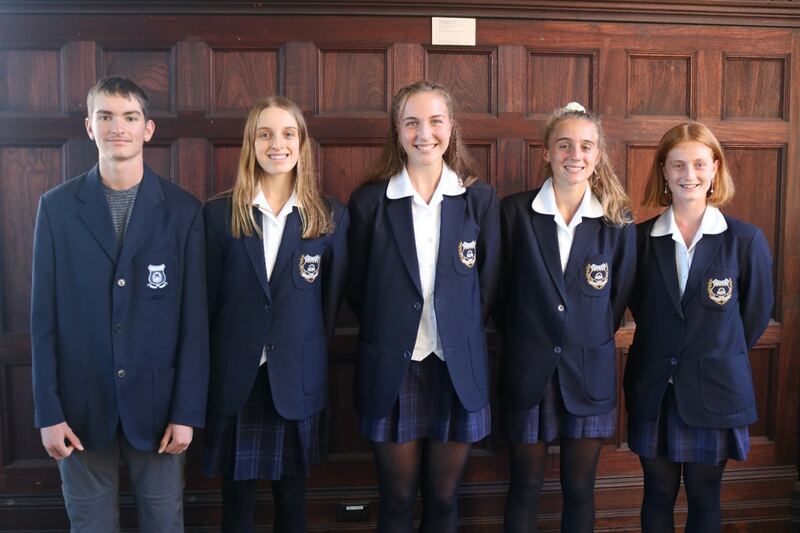 A high school team from NSW’s Hunter Region was awarded the Scientific Excellence scholarship prize in recognition for having developed a solution for administering multiple different medications intravenously without using needles or pills. 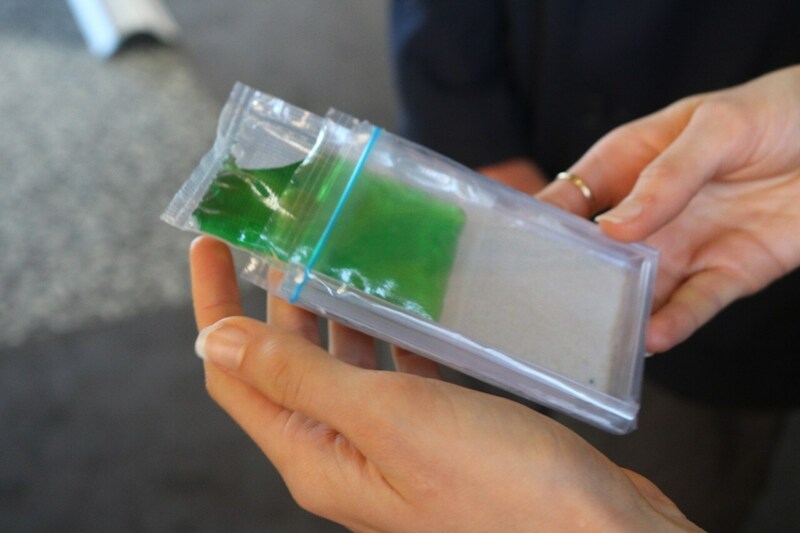 The Merewether High School students developed the model for a trans-dermal patch, which when applied to the skin is able to deliver medications through painless micro-needles and allows for different drugs to be administered to meet each patient’s specific needs. Year 10 student, Delta Hateley said the team was inspired to develop the idea as intravenous and oral medications could be difficult to administer to some patients, such as small children, the elderly and people whose disabilities prevent them from safely taking their medications. “Our design makes administering medication more practical for people who struggle with both oral and traditional intravenous medications, such as those that have difficulty swallowing or accepting needles,” explained Ms Hateley. “A single Universal Transdermal Patch is able to stay in the skin for several days and has an interchangeable drug so that carers can easily exchange patient’s medications as required.” she said. 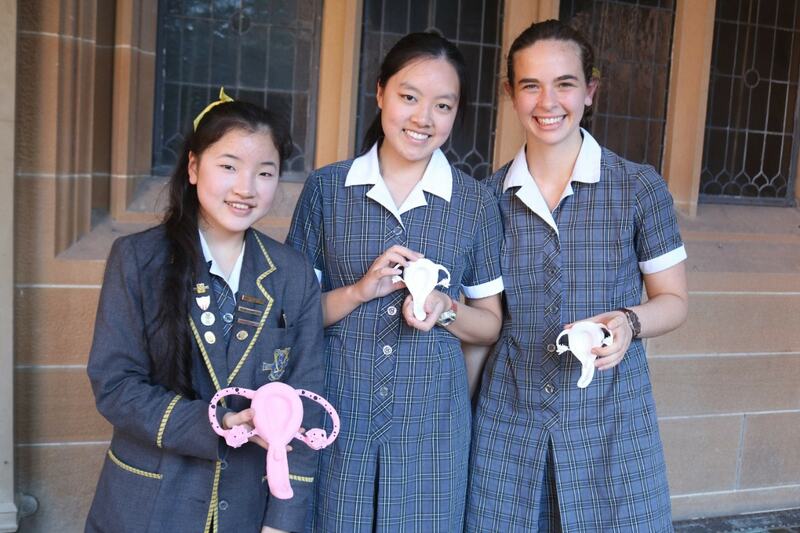 Kambala students Emily Su, Emily Shen and Alex Bako with their 3D printed uterus models. 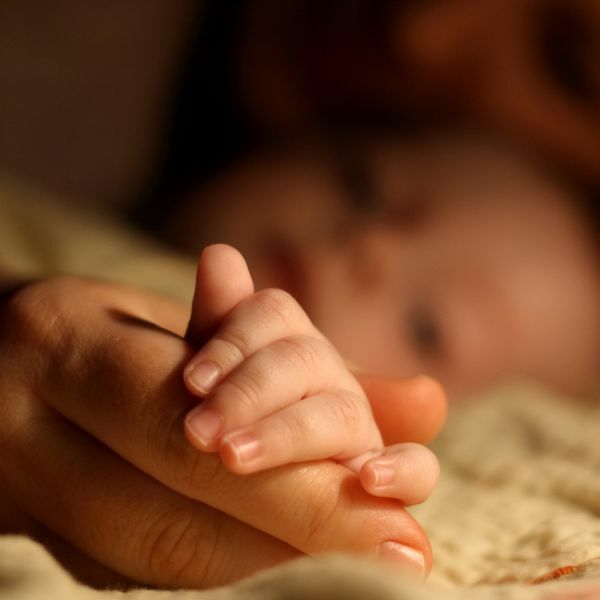 A lasting solution for endometriosis? Every year an increasing number of women and girls are diagnosed with endometriosis, a painful condition which has until recent years received little attention. It affects the female reproductive system and is characterised by the uterine lining spreading to areas outside the uterus. Endometrial lesions, scarring and cysts often cause damage to the fallopian tubes, ovaries and nearby organs which can lead to chronic pain, digestive issues and infertility. Attending the Bioengineering Innovation Outreach Challenge was a group from Kambala Girls School who developed a concept which they believe could be a solution to what is currently an incurable disease. Their idea focused on reprogramming blood cells with stem cells in order to effectively replace scarred and damaged tissue. Using stem cell 3D printing technology, they also believe it will soon be possible to develop a lab-grown uterus for those with advanced endometriosis. “We believe endometriosis is a widespread but severely overlooked issue, which has long been disregarded by medical science,” explained year 10 Kambala student Emily Su. “Stem cell therapy is an exciting therapy that we believe can be used to treat endometriosis, but currently it’s not something that has been geared towards women’s reproductive health,” she explained.